There are lessons we can learn in life from many sources. 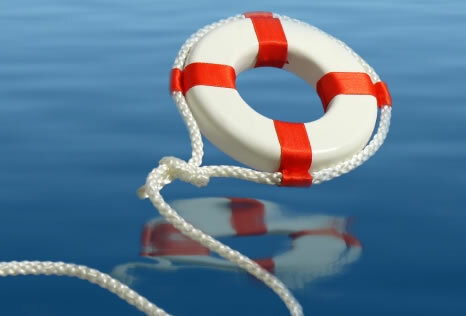 Here are a few things I learned about sharing the Gospel with the lost from Water Rescue class. first let us look at what we are taught from the Red Cross and the Boy Scouts about rescuing someone who is drowning. Throw: If you can’t reach far enough, toss things that will float for the person to grab. Row: If you’re in a boat, use to oars to move the boat closer to the person in the water or call out to a nearby boat for help. Don’t use the boat’s motor close to a person in the water, they could be injured by the propeller. Don’t Go: Don’t go into the water unless you are trained the way life guards are trained to rescue frightened or injured people. Yell for help. If you call 911, stay calm and give your exact location. Learn first aid: CPR (Cardiopulmonary Resuscitation) for drowning and how to help someone who has been in cold water and may need treatment for hypothermia. Now let us change it slightly for the Christian in the world. Throw: If you can’t reach out enough, toss things that may help for the person to grab on to. Godly music, Books, stories. When you call on God, stay calm and give your cares to Him. Learn to evangelize: CPR (Christ’s People Reach-Out), for our Gift is to be shared. May you be used to save a soul this season! May many Blessings from The Most High rain on you and yours!!!! You are such a blessing my brother. I really like this one. I may have to sneak it into a sermon someday. my sermon is your sermon bro, I get material from a church in N. Dakota. Not to poison the waters here (metaphor), but my Calvinist background would replace these four soul saving rules with just one: call the divers to retrieve the corpse from the bottom of the lake. I can not deny any of the principles of Calvin, and i did not chose God he chose me. Historically, some of the great evangelists were Calvinists, like Spurgeon. That does not put an end to the Great Commission!! The example i use often is that of the resurrection of Lazaorous, we are told that MANY came to believe. Not all. Jesus said, “Who the Father gives me….” Smelling the Tulip is no excuse for being lazy about sharing the message, I think the big difference is Steve, we can never take credit for anything that comes from our labors, it is the Holy Spirit the t Quickens the dead heart. If there is a body at the bottom of the lake, it will not be because i did not obey the command of the messiah to go and make disciples! I don’t think you were in a church that had a don’t ask don’t tell policy about salvation, were you? There are crazier things. I’m not disagreeing with you. It’s just that I remember the mentality so many years ago that would argue against anything but their own understanding. Steve, that starched shorts, arrogant, Holier than thou stuff has done a lot to cut the Kingdom to shreds in the USA. I hear you! We ought do those things; reach, throw, grow, go. He will be there, acting with power when we do. Even though we poorly do those things.